AT&T, IBM and Applied Communication Sciences (ACS) have developed technology that is designed to connect multiple clouds in 40 seconds. The prototype will enable organizations that seek to connect disparate cloud environments to reduce the labor, cost and time it takes to integrate. This prototype was built on the OpenStack platform, and leverages an on-demand bandwidth format to ensure unnecessary resources aren’t wasted with constant connectivity. The technology was built under the auspices of the US Government’s Defense Advanced Research Projects Agency’s CORONET program, which investigates ways to improve internet speed. AT&T developed the networking architecture, IBM provided the cloud platform, and ACS offered network management supervision. The IBM cloud platform manages the life cycle of Virtual Machine (VM) network applications on OpenStack software to automatically monitor server load, and request cloud-to-cloud network bandwidth from an SDN WAN Orchestrator developed by AT&T, according to a joint statement. The AT&T SDN WAN Orchestrator then routes data server connection requests across the appropriate network layer. Demonstrations of the technology took as little as 40 seconds, the companies said. This isn't the first time AT&T and IBM have collaborated. Earlier in the year, the two companies formed what they called a "global alliance" to develop support for the Internet of Things. As part of the agreement, AT&T and IBM hope to help cities evaluate patterns and trends in data to improve urban planning initiatives. AT&T recently said it plans to expand its GigaPower fiber network to an additional 100 cities and municipalities nationwide, including Atlanta, Chicago, Los Angeles, Miami and San Francisco. 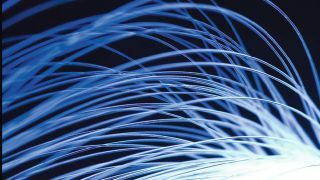 The fiber network will deliver improved broadband speeds up to 1 GB per second, which would enable consumers to download an HD online movie in less than 36 seconds, download 25 songs in one second, and download TV shows in less than three seconds, the company said at the time.